The Petes are in Kitchener on Sunday looking to salvage a tough weekend featuring mid-week losses to East Division foes Hamilton and Oshawa. Although having lost two straight, there are some bright spots for the Petes, including the return of captains Logan DeNoble and Zach Gallant to the lineup. The Rangers are on a tear, having earned points in eight straight games, vaulting them into the Midwest Division lead and second spot in the Western Conference. Kitchener’s wins have come from a balanced attack – Adam Mascherin and Kole Sherwood are their only “point-per-game” players – and timely goaltending. 12 of 15 Rangers wins this year have come by two goals or fewer. On the other hand, when the Petes win, they tend to win big, with 7 of 12 ‘W’s earned with goal differentials of three or more. Nikita Korostelev has been the most effective player against Kitchener, with 8 goals and 7 assists in 13 career games against the Rangers. 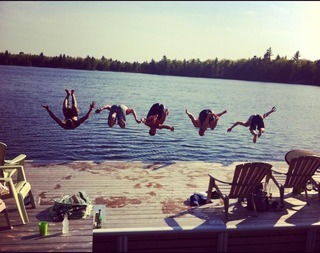 On the other hand, Jonathan Ang will be looking to break the ice. The electric city’s top scorer has never scored a point in his 6 games played against Kitchener. Likewise, Kitchener native and defensive defenceman Alex Black, who on Sunday will be suiting up in his final regular season game at the Aud, will look to add to his 1 assist in 11 games against his hometown squad. Between the pipes, the Petes are looking for Dylan Wells to return to his 2016-17 form. The national junior team hopeful currently holds a respectable 10-8-0-1 record with a 3.36 GAA and .896 S%. At the other end of the rink, Kitchener started the season with 6 wins in 7 games on the shoulders of overage keeper Anthony Dumont-Bouchard, with 1999-born Luke Richardson performing admirably since Dumont-Bouchard’s injury in mid-October. Richardson’s statistics mimic Wells’, with a .896 S% and 3.37 GAA, and a 7-5-1 record. Peterborough’s team plus-minus statistics are surprisingly low, which, aside from a few blowout losses, speaks to the success of the team’s powerplay. Of the six Petes with positive ratings, three have missed extensive action in the past two weeks, including DeNoble, Adam Timleck, and Cole Fraser. Two bright spots have been rookies Nick Robertson, who is fifth in OHL rookie scoring, and massive winger John Parker-Jones. 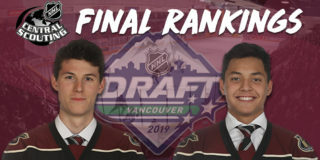 Speaking of Parker-Jones, four Petes players, including John and teammates Declan Chisholm, Pavel Gogolev, and Semyon Der-Arguchintsev were named to NHL Central Scouting’s updated ‘Players to Watch’ list late this week. They are all high-end prospects heading into the 2018 NHL Entry Draft in Dallas. .@chis_decs. Der-Arguchintsev, @Pavel_gogolev17 and @ParkerJones777 were all listed on @NHLCentralScout‘s updated ‘Players to Watch’ list for the 2018 @NHL Entry Draft! Sunday’s game will be broadcast live in Peterborough on YourTV and on Extra 90.5fm. 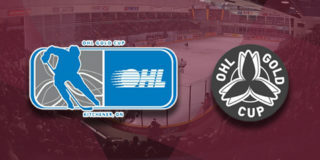 Fans can also download the free Petes Mobile App to follow along, or tune in to the OHL Live online broadcast. Every Petes player and coach has the same goal: returning to championship form in the Spring. 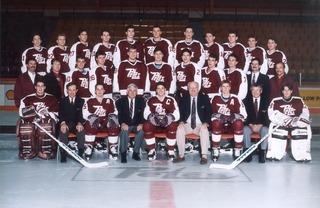 Could a big win on Sunday in Kitchener spark a big bounce-back for the mighty maroon and white, and lead to a season like 1978-79? Be sure to get your tickets for next Thursday, November 23’s rematch against the East Division leading Hamilton Bulldogs. The game is sponsored by Fresh 100.5, and is a Student Night presented by Healthy Kids, who have partnered with Brown’s Fine Foods to bring a special healthy option to concessions, including a small chocolate milk and apple slices for just $3. The tilt against Hamilton is also the return of Faith Night at the PMC. Come to the game for a special presentation at the end of the night, and don’t forget to bring filled shoeboxes for Operation Christmas Child. Empty boxes can be picked up from the Petes Office at the Peterborough Memorial Centre 9am-5pm, Monday to Friday. Looking for the perfect holiday gift for the hockey fan in your life? Petes Holiday Flex Packs are now on sale! Receive four regular bowl flex vouchers to be used between December 30 and January 20, as well as two Petes rocks glasses for just $59.99, a savings of over 40%. Don’t forget to download the free Petes Mobile App, available for iPhone or Android devices.